Franny Pearson never dreamed she’d be attending the prestigious Mansfield College Summer Theater Program. And she’s not, exactly. She’s working for her aunt, the drama department’s costume designer. But sewing her fingers to the bone does give her an opportunity to spend time with her longtime crush, Alex. If only he was as taken with the girl hemming his trousers as he is with his new leading lady. When Harry, a notorious flirt, shows more than a friendly interest in Franny, she figures it can’t hurt to have a little fun. But why is Alex suddenly giving her those deep, meaningful looks? In this charming tale of mixed messages and romantic near-misses, Claire LaZebnik (author of Epic Fail, inspired by Pride and Prejudice) has cleverly reimagined the world of Mansfield Park, crafting a fun, engaging romance, filled with witty narration and fantastic banter. Flirting might be more trouble than Franny ever expected, but fans of Susane Colasanti, Stephanie Perkins, and of course Jane Austen will agree that it makes for an irresistible read. Vincent waited lifetimes to find me, but in an instant our future together was shattered. He was betrayed by Violette, someone we both called a friend, and I lost him. 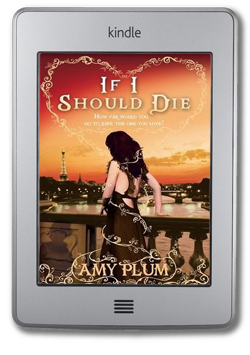 Now Violette is determined to rule over France’s immortals, and she’s willing to wage a war to get what she wants. Given the way Until I Die ended I am so excited to find out what happens next. Plus, she just announce that she is writing a short story or novella on one of the secondary characters from the series to be released right before If I Should Die! Super excited to find out how this series will end. I still need to read the second book but I am looking forward to If I Should Die. I loved how Clockwork Prince ended and I so want Tessa and Jem to get married so I kind of like living in this happy in between. I know Clockwork Princess will just devastate me! I have read the first of the Revenants books but lost track at sometime. And this is the first time I’ve heard about The Trouble With Flirting. Definitely waiting on Clockwork Princess! That one cannot come out fast enough! Nice picks! 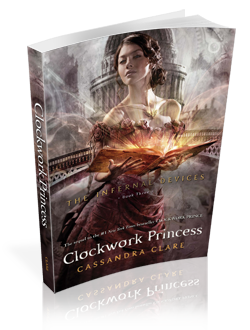 I can’t wait for Clockwork Princess. Thanks for sharing! The Trouble with Flirting = Mansfield Park retelling?! I’m SO THERE. I LOVED Epic Fail. Thanks for sharing, and for stopping by my WoW! Oooh!! 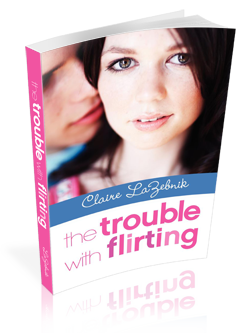 The Trouble with Flirting!! I hadn’t seen that one yet. I really enjoyed Epic Fail, so I’m totally adding this one to my wishlist. Three amazing picks. My favorite is Clockwork Princess for sure. I can’t wait to read how the series will end. If I Should Die and Clockwork Princess in one post!!!! I cannot wait to read both of those and finally get my conclusions!!! I am SO looking forward to Clockwork Princess, but at the same time I’m terrified of reading it! The end of Clockwork Prince was heartbreaking, and I’m thinking Cassie Clare’s not done with torturing her characters (and readers) yet!